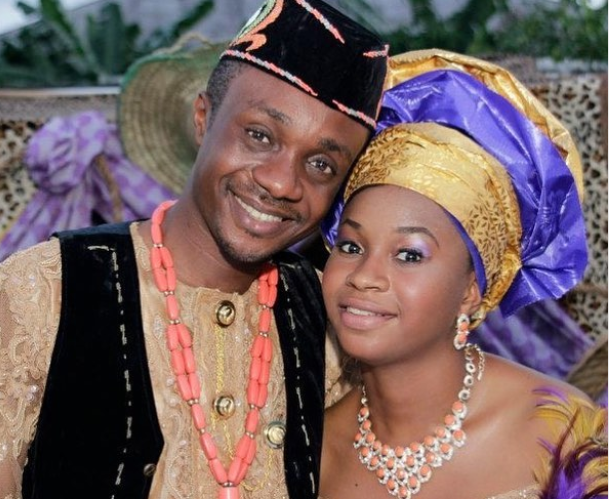 Gospel musician, Nathaniel Bassey has celebrated his wife in an IG post in which he spoke of the challenges their 5 years marriage faced. He spoke of how his wife has been his pillar of support and how she copes with his busy schedule. 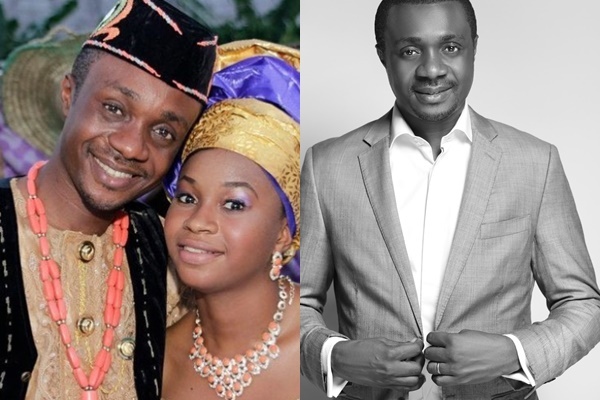 Nathaniel Bassey also used the opportunity to shade Daddy Freeze who is divorced and fond of attacking pastors whom Nathaniel says are genuine. ”Few weeks ago after we got to the hotel from a night of worship in Abuja, my wife said to be “honey, a woman came to me and asked that I pray for her so her sisters or daughters can have a husband like mine?.” While she heard that prayer, she said in her heart, this woman has no idea what she is asking for. And we had a good laugh. I remember Jesus answering same when some disciples asked Him a question. “ 38 But Jesus said unto them, Ye know not what ye ask: can ye drink of the cup that I drink of? and be baptized with the baptism that I am baptized with?” My wife pays a huge price for my calling. Believe me when I say huge. My trips, prayer & music times, calls, church, counseling folks. I remember some of the nights during the Hallelujah Challenge when friends had to take over from me, I would be upstairs praying for my children who were both ill as well as my wife who at some point joined throwing up, and would come down to continue the praise session. Those early times of our marriage when it hit her the sort of schedule I had, I’d come home to find her in tears. Would hug and encourage her. Then much later when she’s fine I’d ask jokingly, if she would still marry me if she had an inkling of my schedule, she’ll pause, smile and say yes. That’s why it’s sad to see people come on social media to rain abuses on pastors (genuine ones I mean), tearing them apart because of some little things they have, not knowing that most of them weren’t even bought but given. After years of sowing seeds. Anyway, that’s for another day. Today’s to celebrate God’s faithfulness in our lives for the past 5 years and looking forward to the next 85 at least (�). Here we don’t divorce. We are here for LIFE! And to my dear wife, thanks for being with me. The days I upset you, and those you upset me more (��), and for the great and trying times we’ve been through together by the GRACE OF GOD, I say thank you. From your husband, friend, Pastor, Prophet and personal comedian, I say a Happy 5th anniversary to US. Our children call us BLESSED”.